The purpose of a Results section is to present, without interpretation, the key results of your research. Your paper does not need to include every result you obtained during your experiments. Results are “key” when they are relevant to addressing the research questions or hypotheses presented at the beginning of your paper. We use the Results subsections to show the reader what types of outcomes they can expect when using the methodology that we present. In our papers, we write a “Methods Overview” as the first subsection of the Results section. (We discuss writing the “Methods Overview” subsection in a previous writing tips post.) Remaining subsections in your paper’s Results section present your findings in the form of text, figures, and tables. Here, a two-paragraph Results subsection has a heading that tells the reader which specific type of analysis is discussed, since the paper presents a method that can be applied toward numerous different analytical tasks. 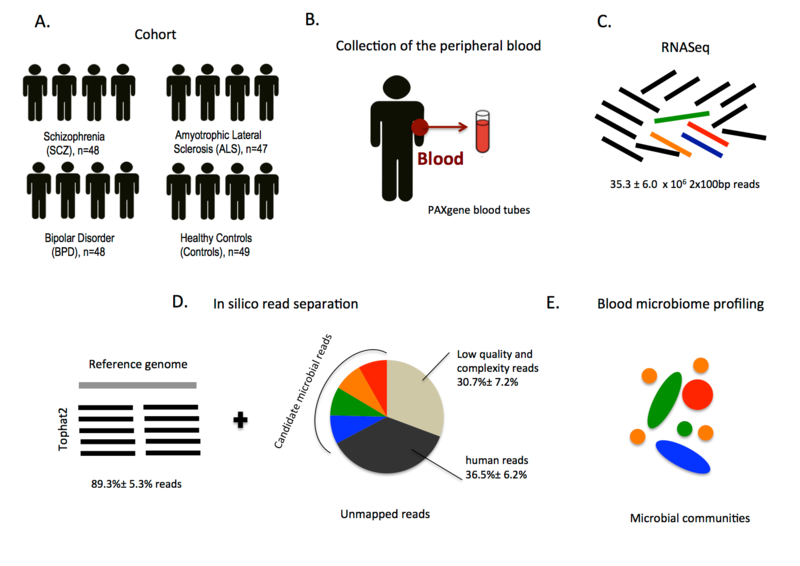 We hypothesized that differences in microbial diversity may be linked to whole blood cell type composition. Since the actual cell counts were not available for these individuals, we used cell-proportion estimates derived from available DNA methylation data to test this hypothesis (Houseman et al. 2012; Aryee et al. 2014; Horvath and Levine 2015). We assessed methylation data from 65 controls from our replication sample, and compared methylation-derived blood cell proportions to alpha diversity after adjusting for age, gender, RIN, and all technical parameters. 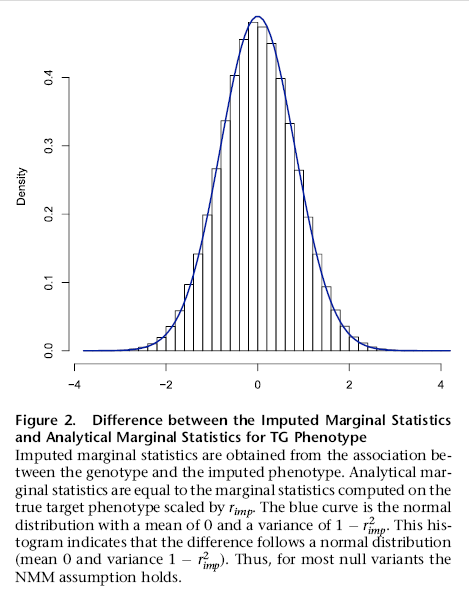 We tested whether alpha diversity levels are associated to cell type abundance estimates. Our analysis shows one cell type, CD8+ CD28- CD45RA- cells, to be significantly negatively correlated with alpha diversity after correction for all other cell-count estimates (correlation = -0.41, P=7.3e-4, Figure S6, Table S6). These cells are T cells that lack CD8+ naïve cell markers CD28 and CD45RA and are thought to represent a subpopulation of differentiated CD8+ T cells (Koch et al. 2008; Horvath and Levine 2015). We observed that low alpha diversity correlates with high levels of this population of T cells cell abundance. For each subsection, we include one figure that illustrates the heading’s message. The figure’s legend (also referred to as a “caption”) can simply be the subsection heading with additional information explaining the methods and data involved in the visual output. It may be helpful to select a figure and write a legend before composing text for the subsection. At this point, you could probably write an entire paper on each figure! In general, we limit the text in each Results subsection to one to two paragraphs. Here, we use the minimum amount of text that is necessary to walk our reader through the figure. Think about what the reader needs to know in order to start using the method for their own analysis. Relevant information includes the type of data used, analytical steps and parameters, and a summary of conclusions. In many cases, the subsection text and figure legend will be repetitive. This one-paragraph section provides relevant results in terms of statistical parameters, numerical output, and a supplemental figure. This subsection gives the reader a good idea of what to expect if they want to incorporate this new approach in their own project. We simulated datasets for multiple phenotypes under the null model where the variant we are testing has no effect (effect size of zero) toward the target phenotype. We computed the type I error under five different significance thresholds: 0.05, 0.01, 0.005, 5 3 10-6, and 5 3 10-8. We generated 100,000,000 simulated datasets that consist of 1,000 individuals. The type I error rates for our imputation method were 0.049, 0.0099, 0.00489, 4.90 3 10-6, and 4.89 3 10-8 for the significance thresholds of 0.05, 0.01, 0.005, 5 3 10-6, and 5 3 10-8, respectively. This indicates that the type I error is correctly controlled in our imputation method. The Northern Finland Birth Cohort dataset 13 was used to show that the type I error is controlled (see Figure S1). We plot the Q-Q plot of the Z-score for the imputed triglyceride (TG) phenotype from the Finland dataset. There is no inflation in the Q-Qplot as shown in Figure S1. Bonus challenge: After you finish writing your paper, try to remove the sentence highlighting the result’s importance from the Figure caption. The order in which you present your results can be organized in many different ways. Typically, ordering of subsections is not important for initial manuscripts. One simple approach is to order Results subsections sequentially to support the argument that you are building in your paper. Here, we present another example of a Results subsection, including the description of a relevant figure. The subsection heading is making it clear to the reader that this part of the paper discusses applying ForestPMPlot, a visualization tool for analyzing meta-analysis studies, to eQTL data. One powerful application of our proposed framework is in multi-tissue eQTL analysis in the Genotype-Tissue Expression (GTEx) project. The GTEx project studies human gene expression and genetic regulation in multiple tissues, providing valuable insights into the mechanisms of gene regulation, which can lead to the new discovery of disease-related perturbations. In this project, genetic variation between individuals will be examined for correlation with differences in gene expression level to identify regions of the genome that influence whether, and by how much, a gene is expressed. In particular, examining multiple tissues can give us valuable insights into the genetic architecture of the regulatory mechanism, because many regulatory regions are known to act in a tissue specific manner (Ernst et al. 2011; Encode Project Consortium 2012). Hence, understanding the role of regulatory variants, and the tissues in which they act, is essential for the functional interpretation of GWAS loci and insights into disease etiology. Figure 2 is an example of the output of ForestPMPlot for a multitissue eQTL study for SEMA3B gene (GTEx Consortium 2015). Examining both the forest plot and the PM-Plot allows us to obtain an insight into the tissue-specific genetics effects in eQTL analysis, which leads to the identification of three significant eQTL tissues (heart left ventricle, stomach, and thyroid). 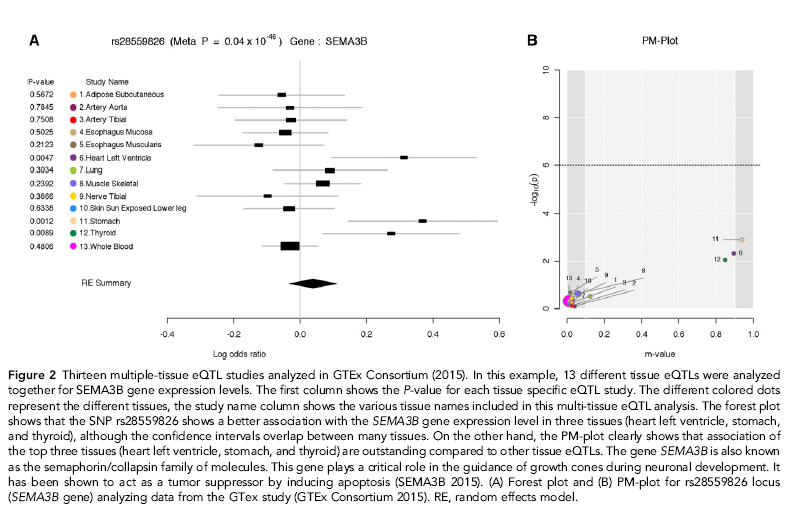 This example clearly shows that examining both the forest plot and the PM-Plot allows us to easily hypothesize that there is a specific group of studies showing tissue differences in eQTL analysis. Below, we provide examples of several different types of figures that can illustrate the point of a Results subsection. Example of a figure and figure caption that clearly illustrate and explain significance of results in a Results subsection (Hormozdiari et al. 2016). Example of a more complex figure and figure caption in a Results subsection, which aim to explain the advantages of a new visualization tool (Kang et al. 2016). Example of a general schematic “Methods Overview” subsection figure in the Results section (Mangul et al. 2016). In this blog post, I would like to “introduce” you to our introduction style. Writing the introduction is the most daunting part of the paper writing process, especially for students who are not native english speakers. To help structure the introduction writing process, in our lab we have developed a standard style or template for writing introductions. Since the majority of the papers that we write are papers that describe new computational methods, many of our papers naturally fit into this style. We usually publish our papers in Genetics journals which have very high standards of writing and are read by researchers with a wide range of backgrounds. The difference between a paper getting accepted and rejected is often determined by the clarity of the writing. Our introduction style is a very specific formula that works for us but obviously there are other ways to structure an introduction and each experienced writer will have their own style. However, the truth is, you NEVER start out as a good writer and new writers need to start somewhere. It takes practice, consistency and effort to write well. If you are a new writer apprehensive about writing an introduction, we hope that this structure can help you. 1. Context – First, it is important to explain the context of the research topic. Why is the general topic important? What is happening in the field today that makes this a valid topic of research? 2. Problem – Secondly, you present the problem . We typically start this paragraph with a “However,” phrase. Simple example: We have this awesome discovery in XYZ… However, using former methods it will take us 10 years to run the data. Each sentence in this paragraph should have a negative tone. 3. Solution – By this point, your readers should sympathize with how terrible this problem is and how there MUST be a solution (maybe a little dramatic, but you get my point). Paragraph three always starts with “in this paper” and a descritpion of what the paper proposes and how it solves the problem in the second paragraph. 4. Implication – The last paragraph in your introduction is the implication, which describes why your solution is important and moves the field forward. Typically, in this paragraph is where you summarize the experimental results and how they demonstrate that the solution solves the problem. This paragraph should answer the readers question of “so what?”. In: Bioinformatics, 30 (12), pp. i329-i337, 2014, ISSN: 1367-4811. In: PLoS Genet, 9 (6), pp. e1003491, 2013, ISSN: 1553-7404. In: Genetics, 191 (3), pp. 959-67, 2012, ISSN: 1943-2631. There it is… the beginning to a great paper (at least we like to think so!). Will this work for you? Have other ideas? Let us know in the comments below!